We need a sealed unit/exterior light fitting for the MESSY STUDIO bathroom as it is such a wee space and a wet room, so my dreams of hanging cage lamps are quite out of the question. 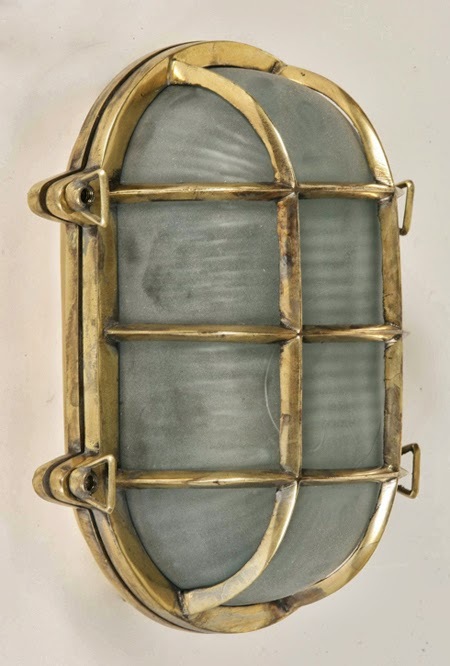 Very expensive and available only overseas/at nautical supply shops - we are going to see if our the brass wizards at THE BATHROOM FACTORY can refit an existing bulkhead. Unless any of you just happen to have one lying about in your garage crying out for a new home.